In a very stylish and striking pattern, outlined in black, including bunches of ripe, red cherries on branches, alternating with pastel mauve and blue, hand painted blossoms & green leaves. A typical Deco border of banding in black, with a lined, zig zag, swirl and dot effect. 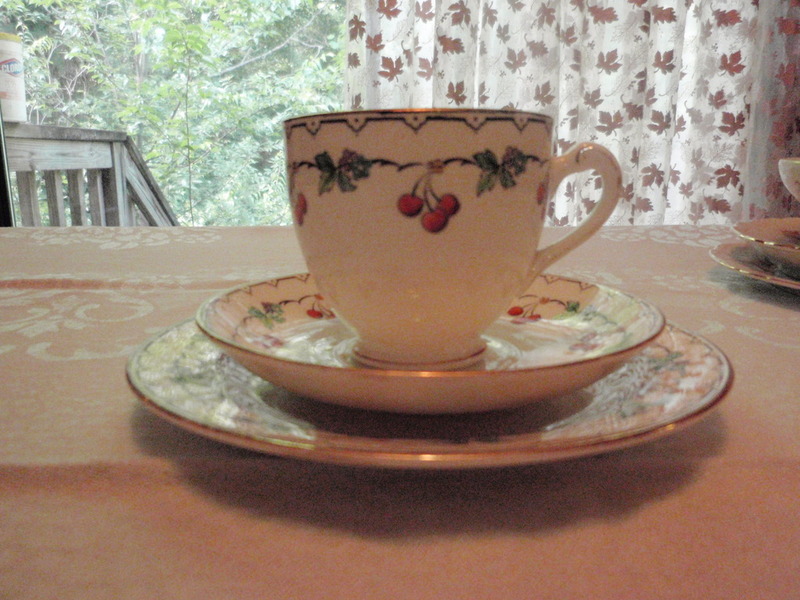 White china with a scalloped saucer, a round, smooth tea plate, a footed, bowl cup with a looped handle. All edged and trimmed with gilding. Manufacturers of porcelain, RH & SL Plant Ltd, Tuscan Works, Forristers St, Longton, Stoke, Staffordshire. Green matching early TUSCAN backstamps on all the pieces dating this trio to 1920’s. 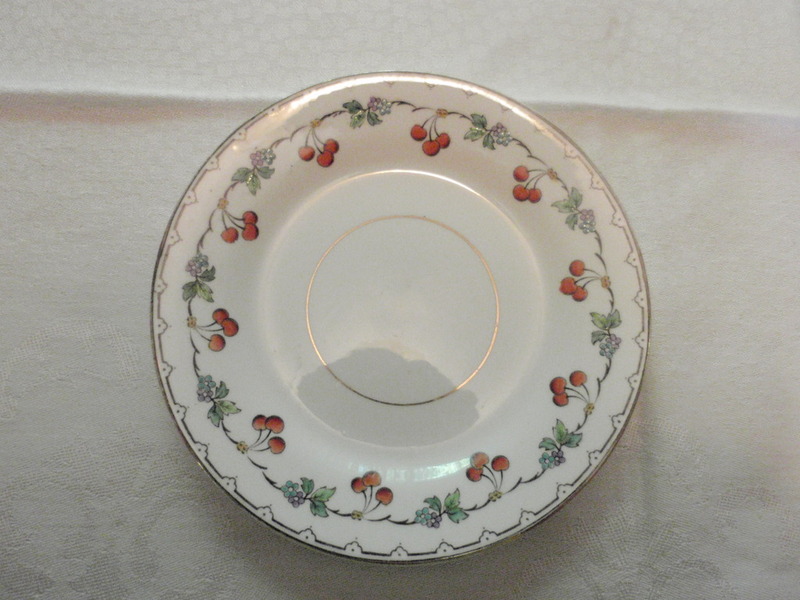 Pattern number on the saucer in red 8606.